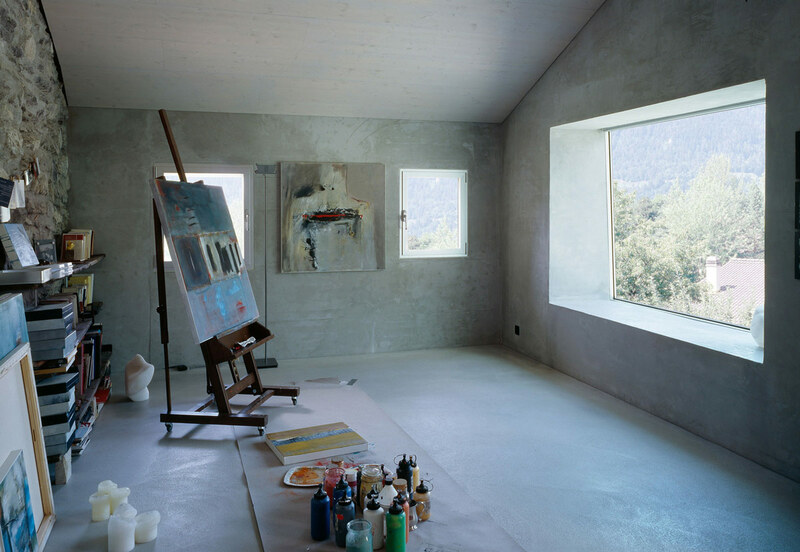 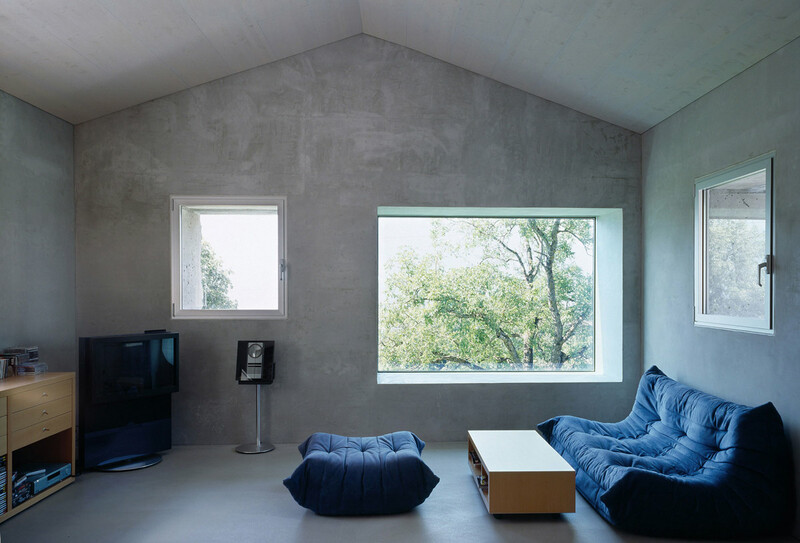 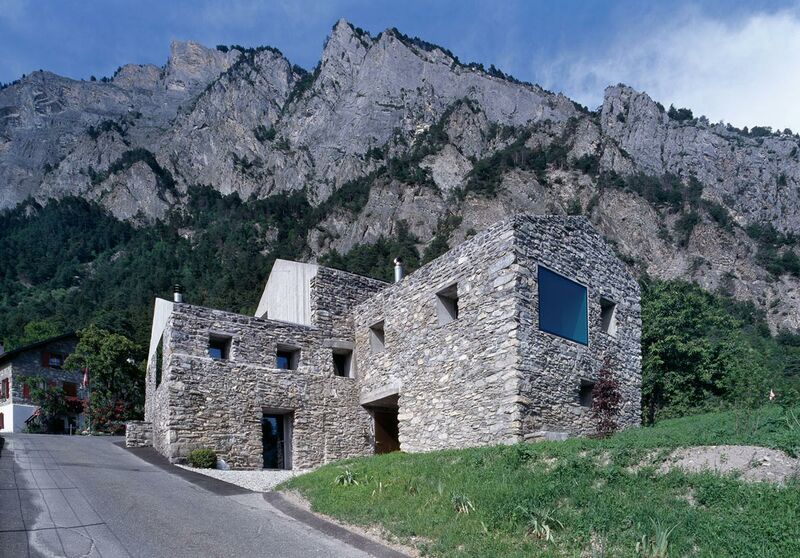 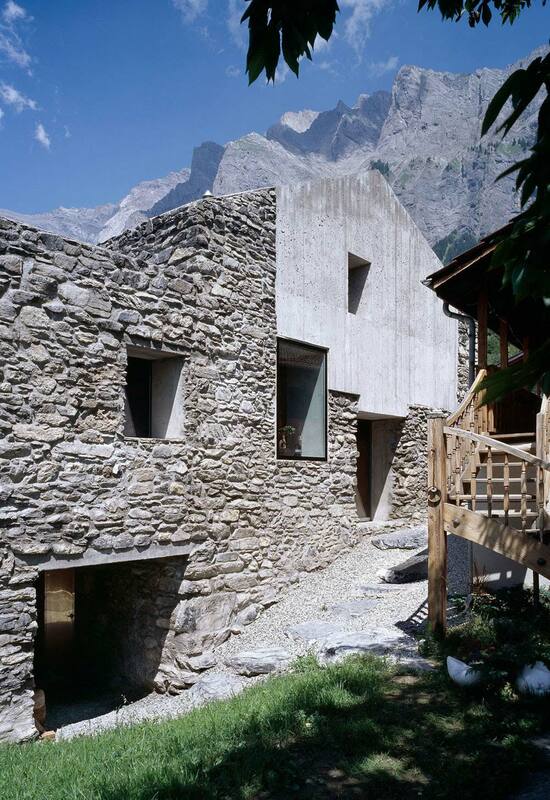 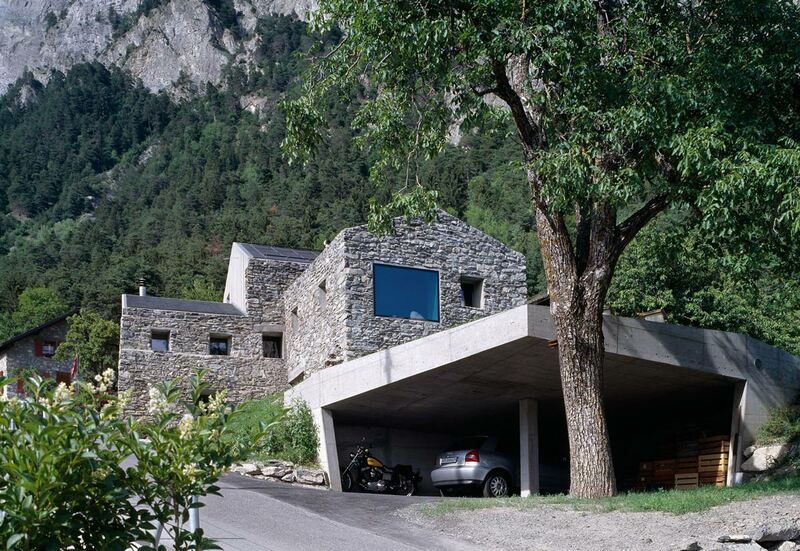 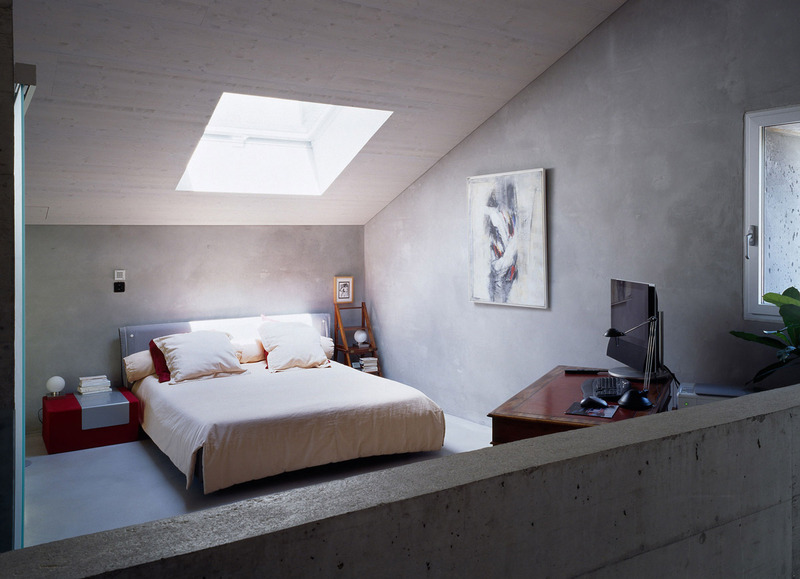 The Maison Roduit project was completed in 2005 by the Sion based studio Savioz Fabrizzi Architecte. 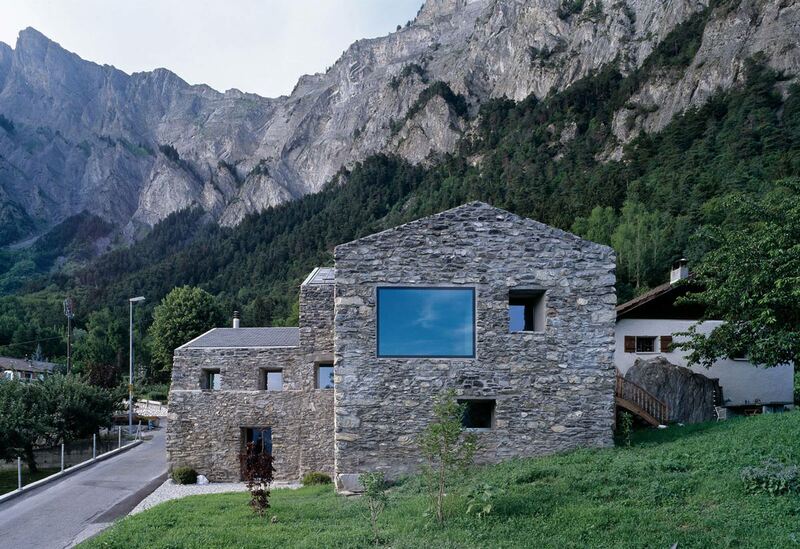 This project included the renovation of a rural house from the 1800’s. 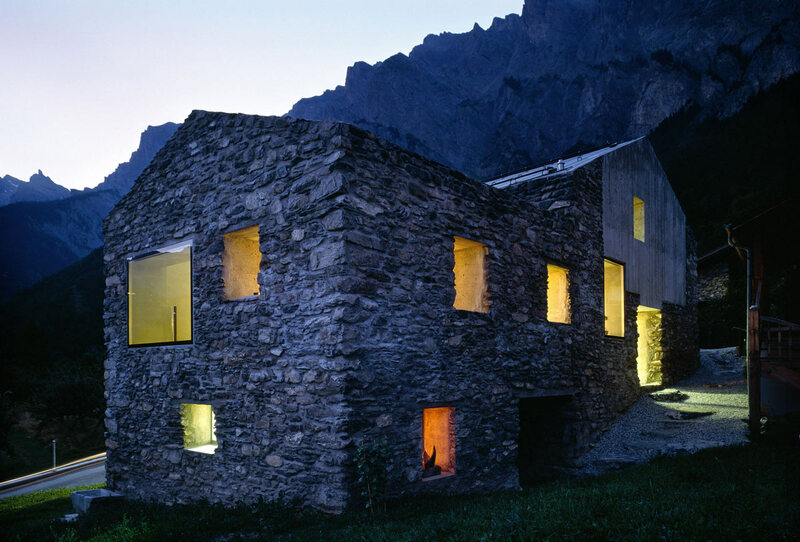 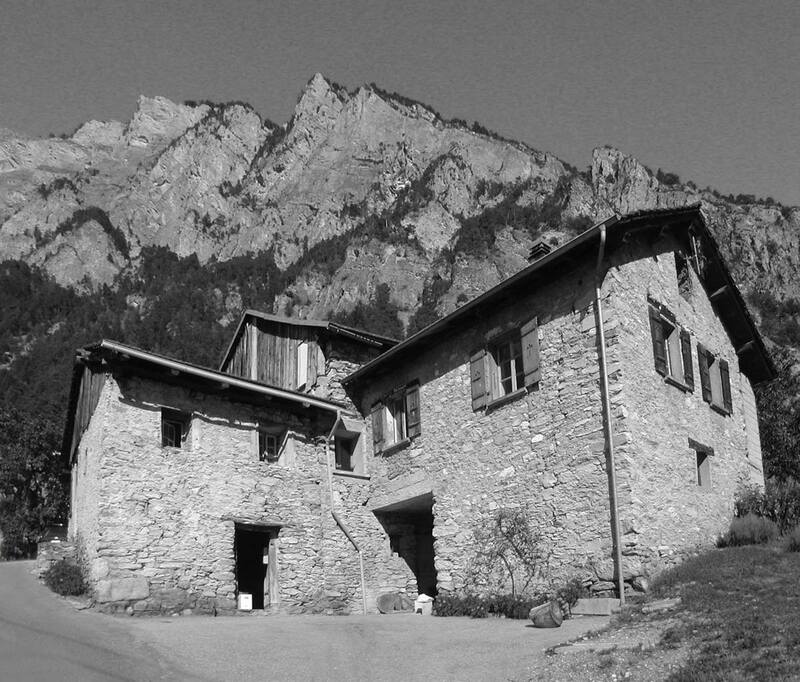 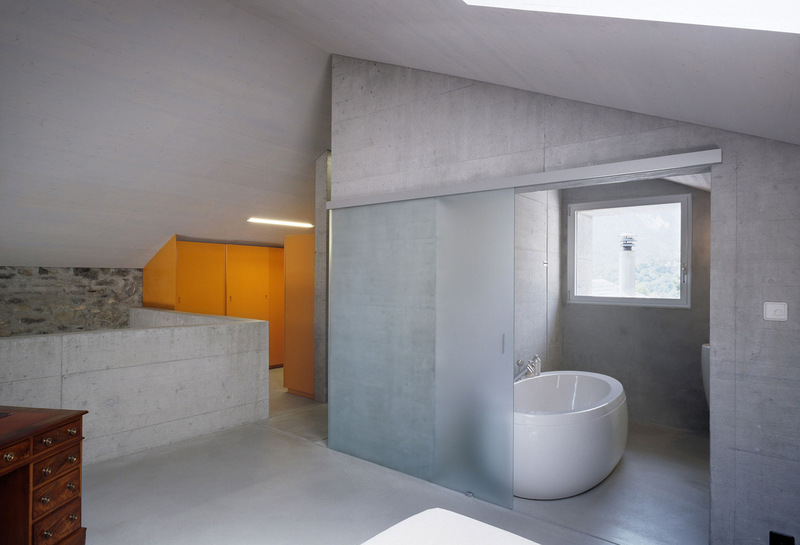 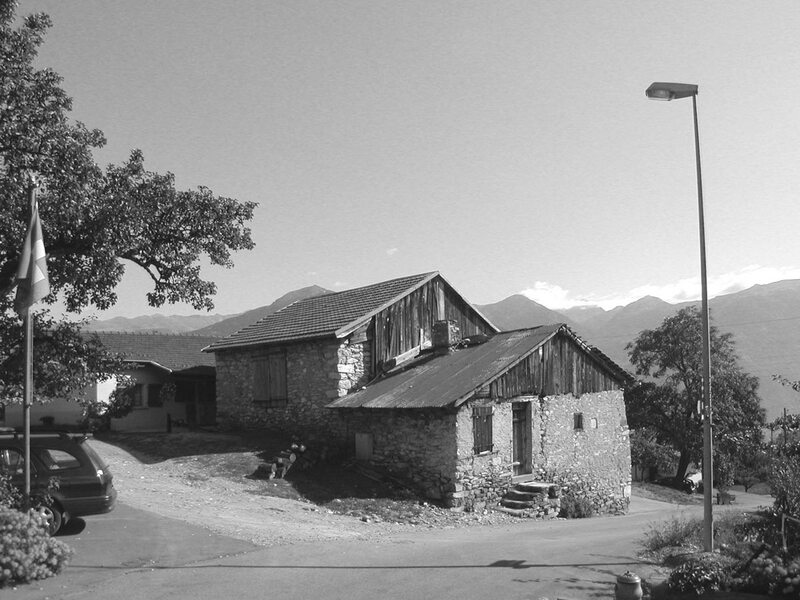 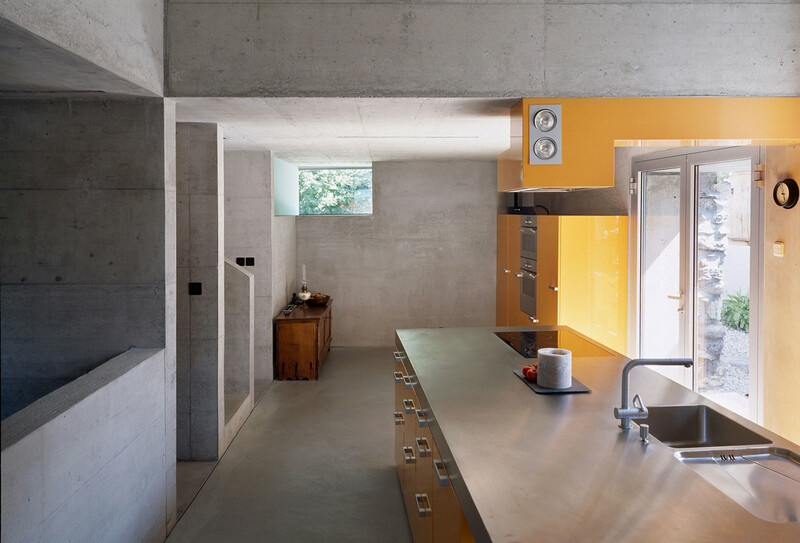 Maison Roduit is located in Chamoson, Switzerland. 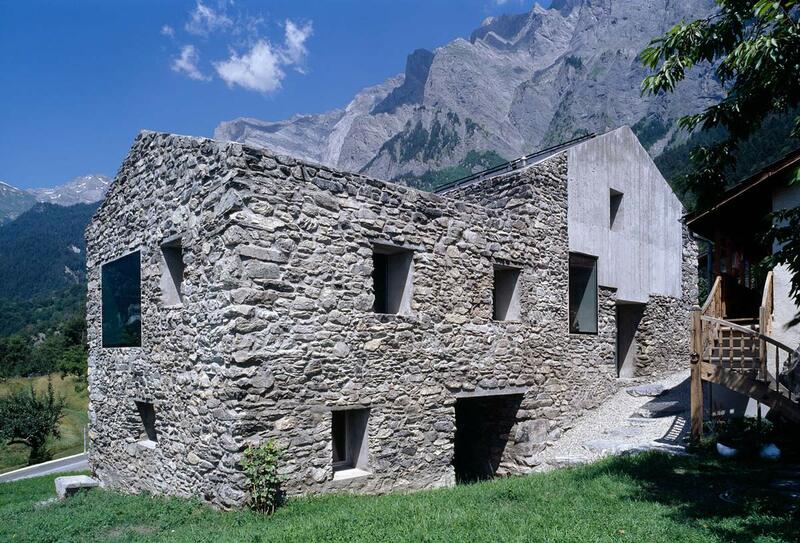 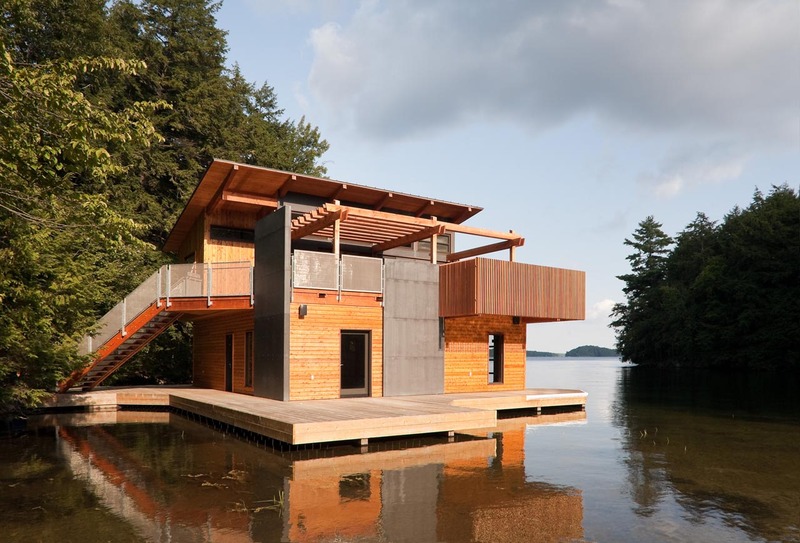 “This building was constructed in stages from 1814 onwards and was used as a rural house. 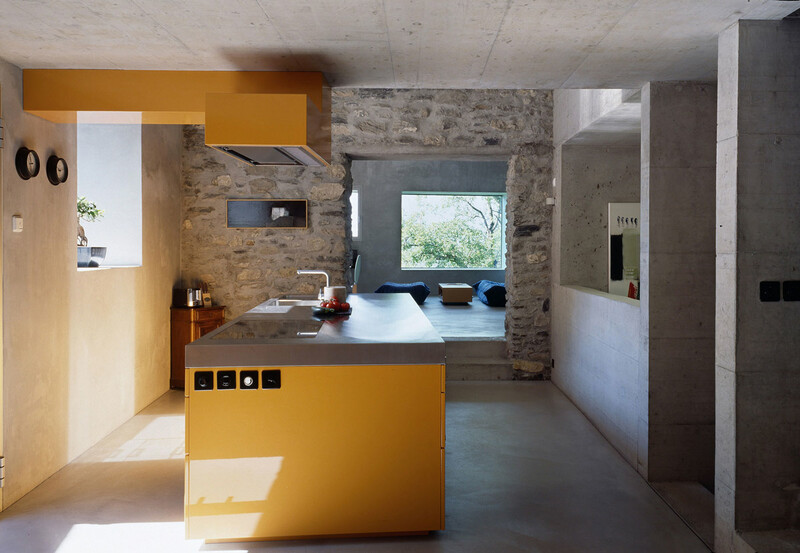 It is made up of three adjacent areas on different levels. 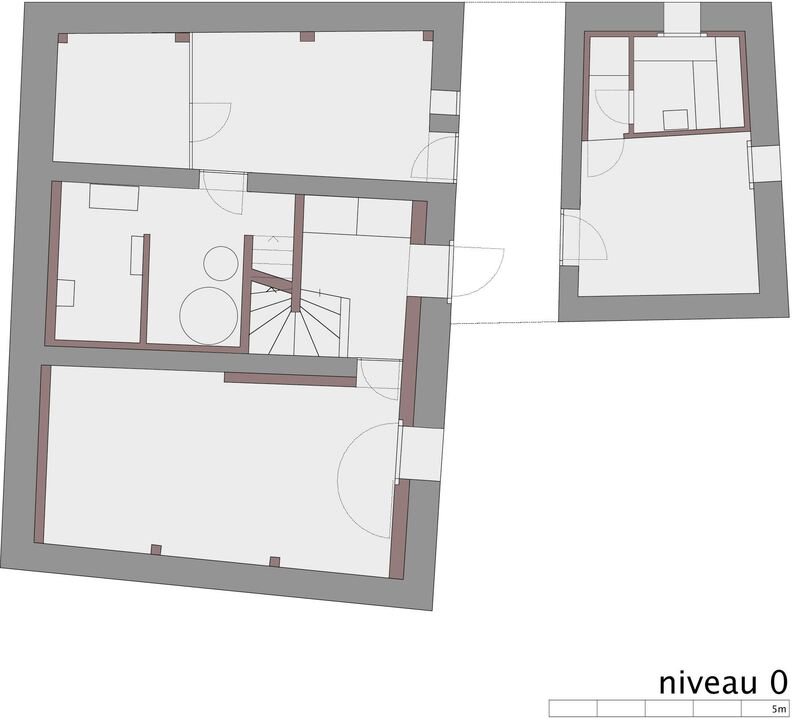 On the ground floor it is crossed by an access way which indicates the presence of a former right of way to the next-door building. 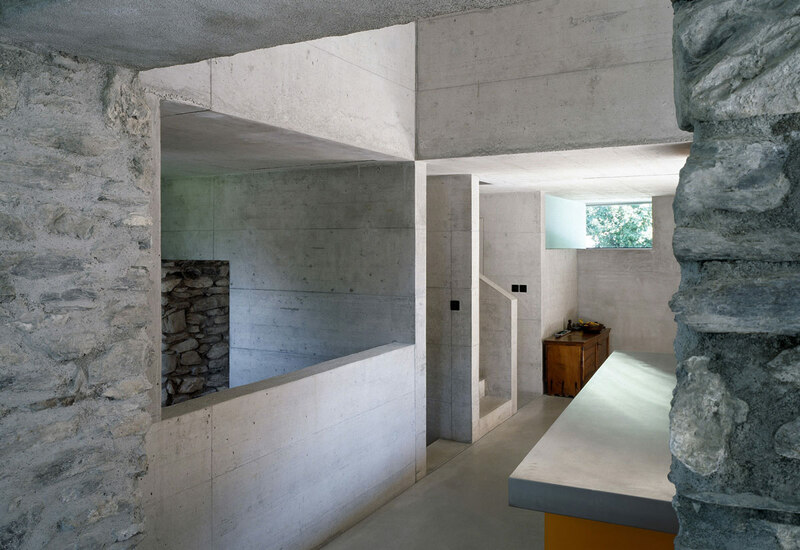 The renovation project seeks to maintain and reinforce this character, emphasising the existing stone structure while using concrete for the parts to be replaced, in order to create a completely mineral feel to the whole. 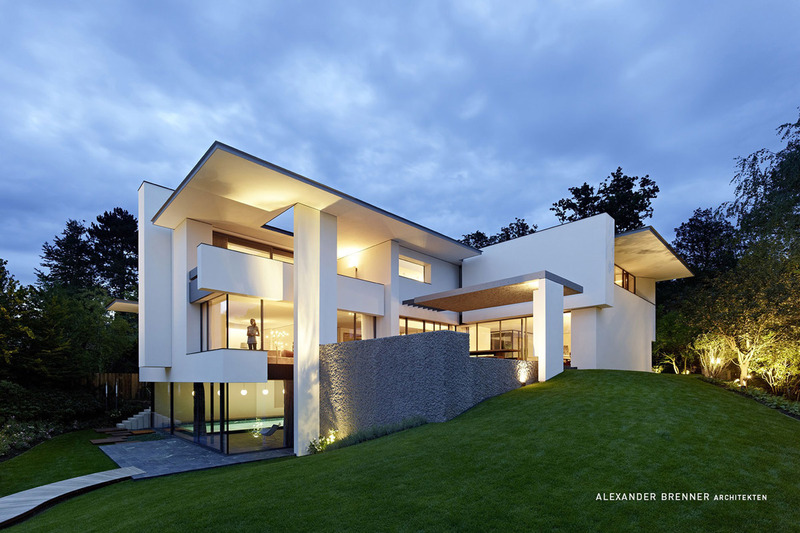 The exterior volume has not been changed. 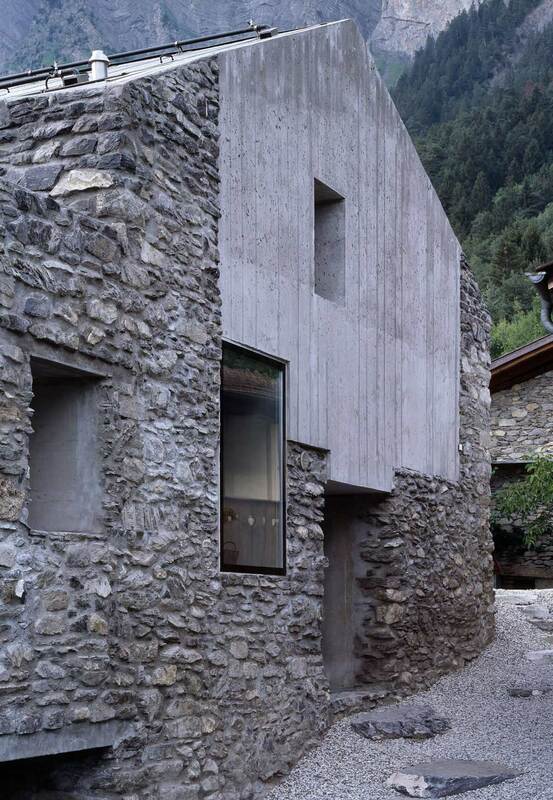 The stone façades have been preserved and lined inside with an insulating layer of concrete based on foamed recycled glass (Misapor). 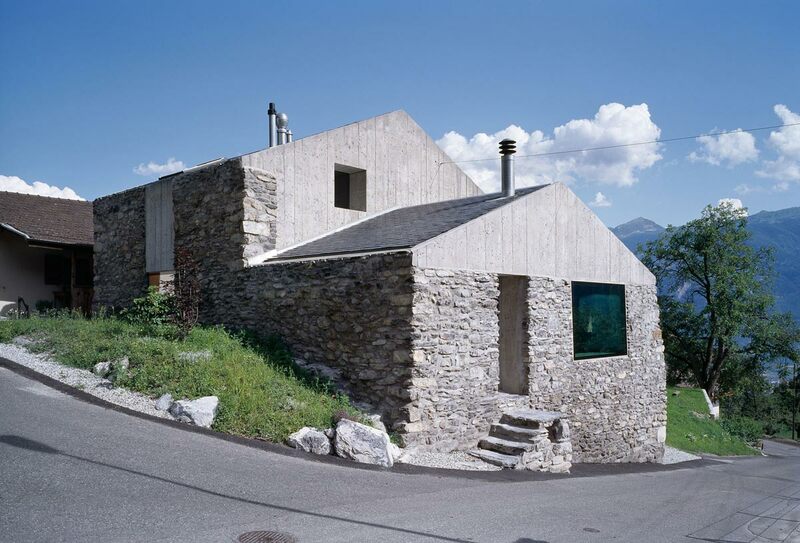 This insulating lining forms the new load-bearing structure, reinforces the old stone walls and provides thermal insulation. 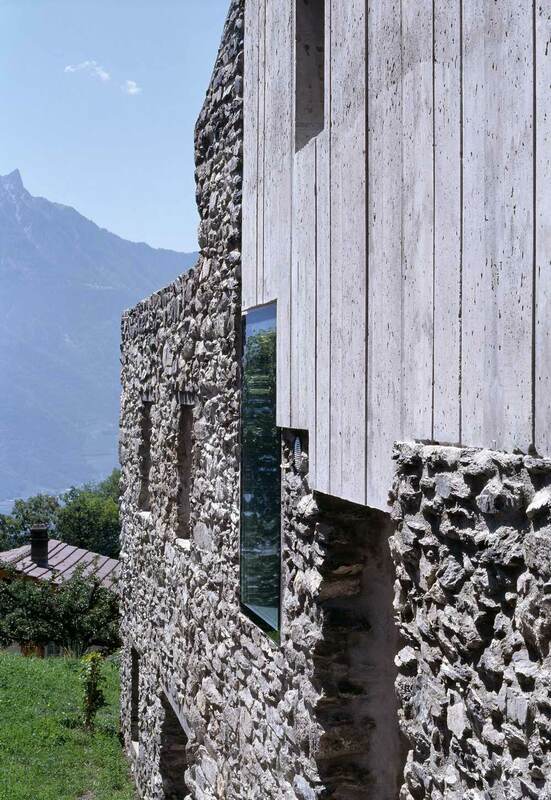 The parts of the façade formerly of timber weatherboarding have been replaced by a monolithic wall of insulating concrete with formwork which reproduces the former texture of the timber. 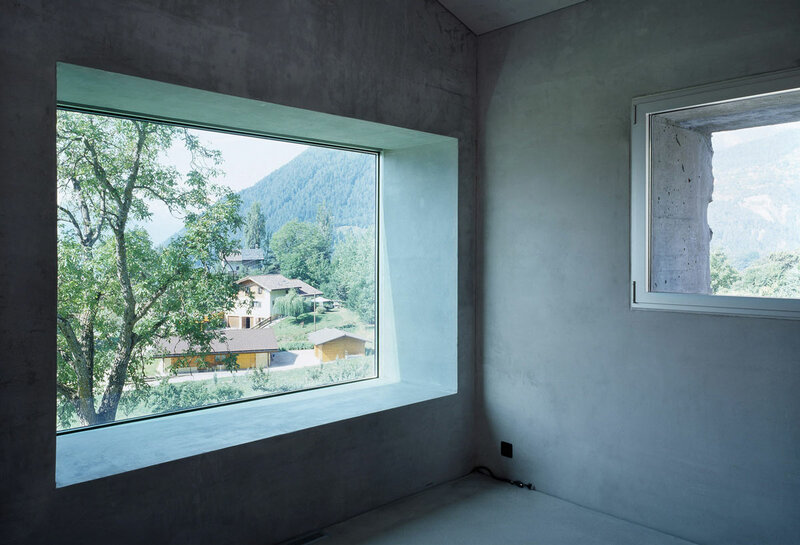 These new windows are flush with the exterior in order to minimise their impact on the volume of the building, as well as to emphasise and make good use of the substantial thickness of the walls. 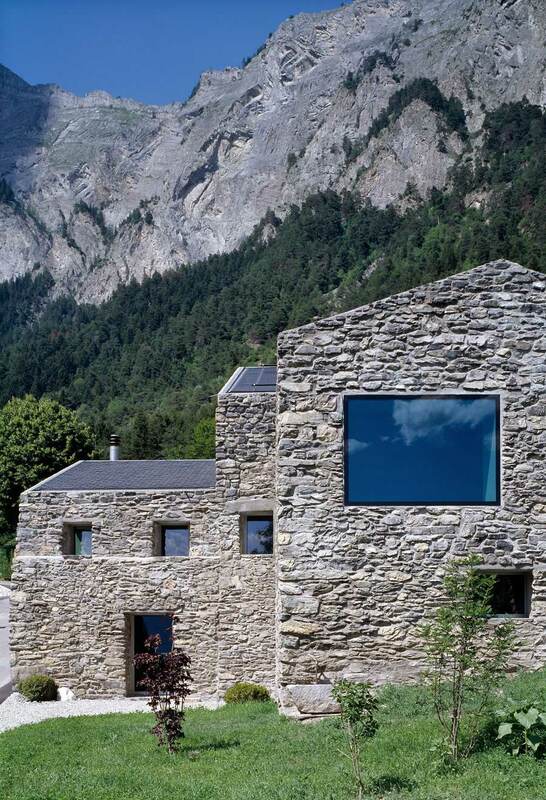 With its good thermal insulation, controlled ventilation and energy from renewable sources, this renovation complies with the Swiss “Minergie” energy conservation standard. 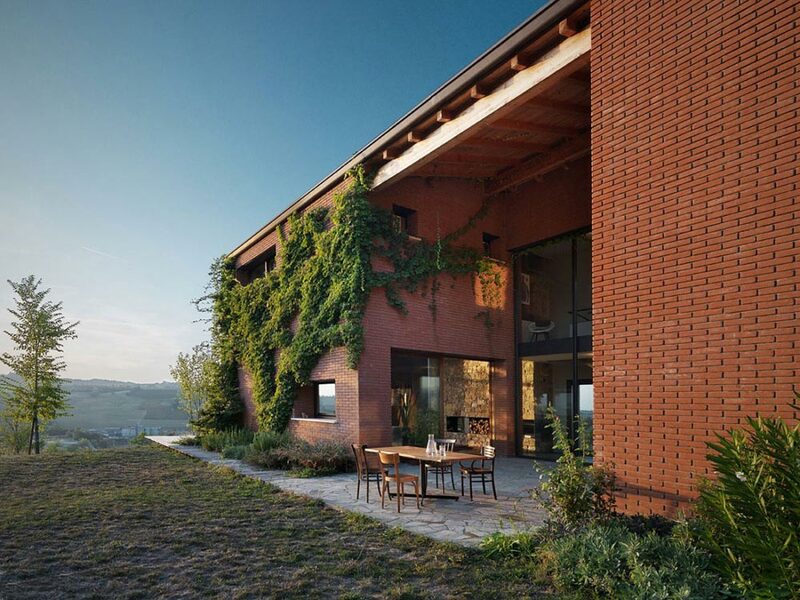 23 m² of solar panels on the roof produce about 35% of the annual heating requirement (heating and hot water). 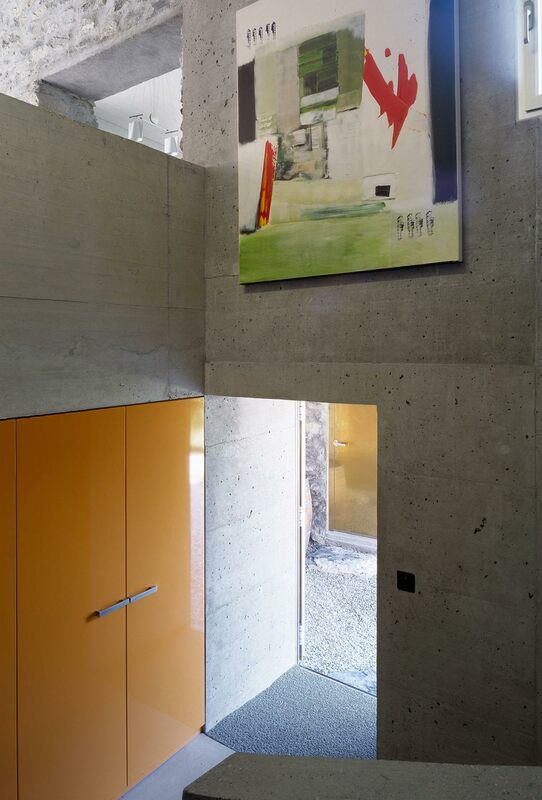 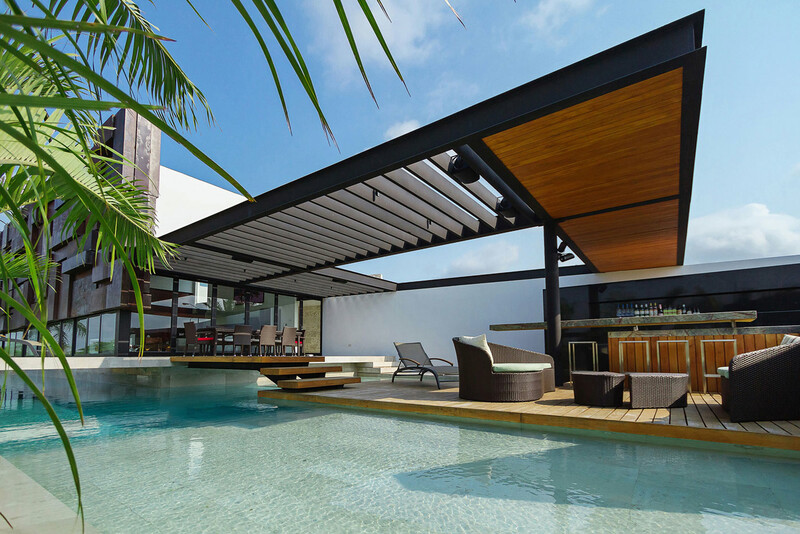 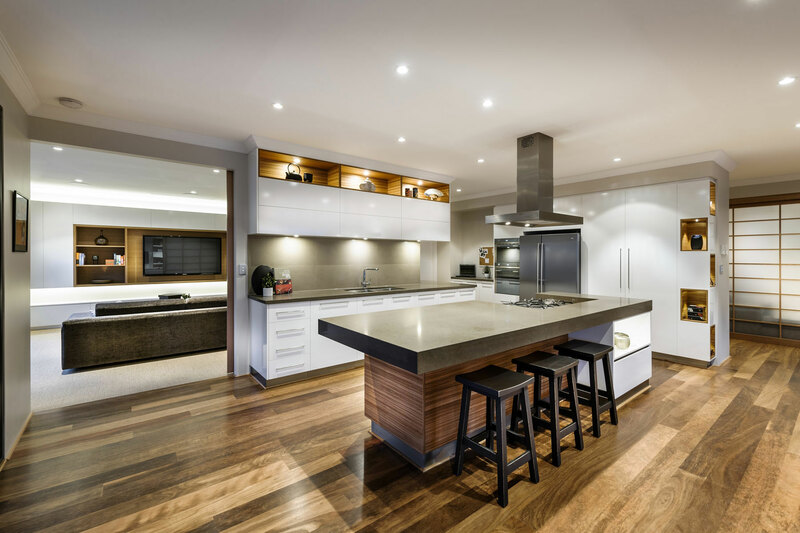 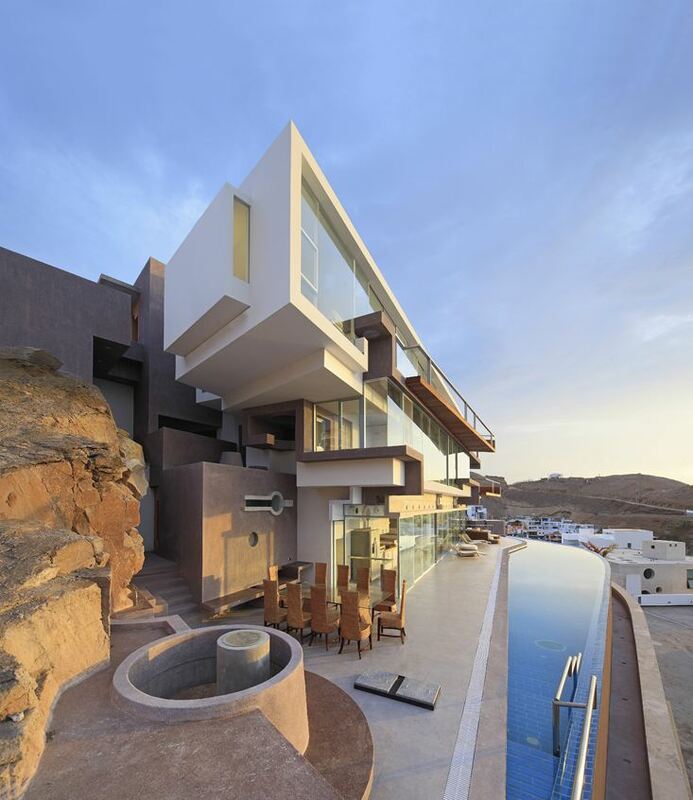 In harmony with the exterior, the interior is formed from unrefined mineral materials, with its natural stone, exposed concrete and polished screed floors.